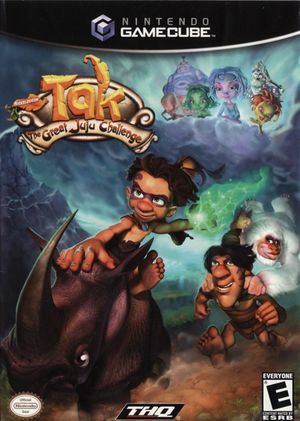 Tak: The Great Juju Challenge, a sequel to Tak 2: The Staff of Dreams, lets the player reprise the role of Tak, a shaman who uses magic to defeat enemies. Tak: The Great Juju Challenge features a new cooperative mode in which two players can solve puzzles together. The graph below charts the compatibility with Tak: The Great Juju Challenge since Dolphin's 2.0 release, listing revisions only where a compatibility change occurred. This page was last edited on 1 March 2018, at 08:18.